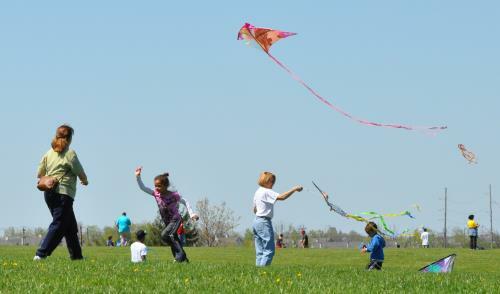 Lexington, Kite Fest 2019 (4/20): The annual kite flying event held at Masterson Station Park. Burkesville, Dale Hollow Egg Hunt (4/20): At 10:30 a.m. on April 20, Peter will begin his egg hunt in the campground. Eggs of all colors have been hidden. Fun for all ages! 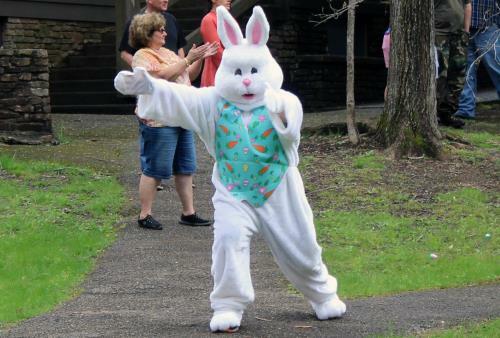 Olive Hill, Carter Caves State Resort Park: Brunch with the Easter Bunny (4/20): April 20, 2019: Brunch with the Easter Bunny: Have brunch with the Easter Bunny Saturday March 31. Begin the morning by arriving at 10:00 A.M. for photo time with the Easter Bunny. 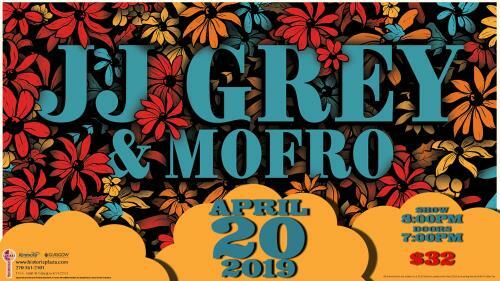 Glasgow, JJ Grey & Mofro (4/20): When you see JJ Grey and his band Mofro live—and you truly, absolutely must—the man is fearless. 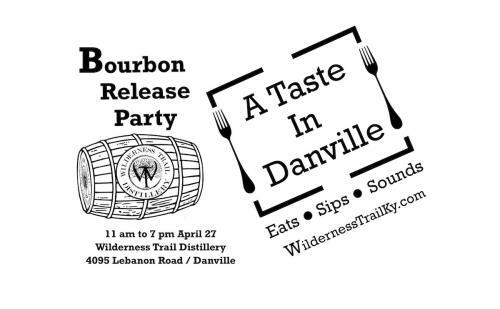 Danville, Wilderness Trail Distillery A Taste In Danville (4/27): Featuring Wilderness Trail Distillery's newest release, a Small Batch Bourbon with a rye small grain, 20 food vendors and 2 bands. Albany, Relay for Life of Clinton County (4/19): Relay is a team fundraising event where team members take turns walking around a track or designated path. Bardstown, A Taste of Bardstown (4/27): Shop Local Bardstown and Downtown Main Street invite you to eat and drink your way through the local culinary scene. Bardstown, An Old Kentucky Easter Egg Hunt (4/20): Join us for the first inaugural Easter Egg Hunt at My Old Kentucky Home! The event is free! Bardstown, Meadows In The Bloom at My Old Kentucky Home (4/21): A fun, discovery filled tour about the traditions of the Easter holiday in Victorian America. A great experience for the whole family! Don't miss, "Meadow's in the Bloom" this March and April! Bowling Green, 2019 Inaugural Pre-Derby Gala (4/26): Down Syndrome of South Central Kentucky and La Gala present the 2019 Inaugural Pre-Derby Gala on April 26th. Bowling Green, 2019 SKy Science Festival Expo Day (4/27): Come be amazed! Exciting speakers and interactive hands-on experiences in a carnival atmosphere. Bowling Green, 5 Man Tournament Fundraiser (4/20): This is going to be a fun event! This is a fundraiser and for a very good cause! Mech and Tippmann's (can/will provide) only and paint provided as well. Bowling Green, Arte Cubano (3/9 - 5/28): Arte Cubano highlights a universally agreed-upon characteristic of the island’s art: an incredible diversity. Bowling Green, BG Noon Lions Club Night at the Bowling Green Hot Rods (4/27): Help support the Bowling Green Noon Lions Club by purchising tickets to a Hot Rods game for $10. 50% of the proceeds will go back to the club. Bowling Green, Bowling Green Amateur Disc Golf Tournament (4/20): Several hundred participants from 29 states and five countries are expected for this year's Amateur Disc Golf Championships. Bowling Green, GypsyMoon Marketplace (4/26 - 4/27): Highland Stables offers the best barn sale in South Central Kentucky called GypsyMoon Marketplace. Bowling Green, Habitat for Humanity Brunch to Build 2019 (4/27): Show gratitude for your home by helping others realize the dream of owning one! Brunch with us and help build strength, stability and self-reliance through shelter!! Bowling Green, Kentucky Derby Bourbon and Cooking Class (4/26): Kentucky Derby Bourbon Tasting and Cooking Class…It is almost Derby Time so come taste some special proof bourbons and find a new derby day favorite. Bowling Green, Kentucky Throwdown ft. No Deceit, Jericho Woods & Ax and the Oak (4/20): Tell all your friends and get ready to Throwdown! Bowling Green, LRS LIVE! Hogslop String Band with guests The Jenny Roads (4/19): Lost River Sessions LIVE! returns Friday, April 19th with energetic old-time group Hogslop String Band and Kentucky duo The Jenny Roads. Bowling Green, Southern Kentucky Book Fest (4/26 - 4/27): Join us at one of the state's largest literary events! Bowling Green, Southern Kentucky Book Fest (4/26 - 4/27): Southern Kentucky Book Fest is one of the state’s largest literary events and is presented by Barnes & Noble Booksellers, Warren County Public Library, and WKU Libraries. Cadiz, Bluegrass and Art in the Park (4/27): "Bring your chair or blanket and help us make this a Fun and Entertaining day in Cadiz, Ky. We have live Music, Food, Arts, and Crafts." Carrollton, General Butler State Resort Park Painting with Sharon Durbin Graves (4/19 - 12/20): Sharon Durbin Graves, Painting Instructor will gear monthly classes around different themed images. Clinton, Clinton- Hickman County Spring Chicken Festival (4/26 - 4/27): Clinton- Hickman County Spring Chicken Festival is scheduled annually on the 4th weekend of April! Clinton, Clinton Spring Chicken Festival (4/26 - 4/27): Schedule of Events will be posted on site as well as forms for the 5K, Kids Fun Run, Vendors, and Wild Wing Cook Off. We invite you to come and shake a tail feather! Corbin, Cumberland Falls Spring Cleanup (4/27): If you enjoy Cumberland Falls, then please volunteer for the 2019 Cumberland Falls Spring Cleanup! Since 2008, the annual event has mobilized 4,075 volunteers. Covington, Good Friday pray the steps (4/19): Pls join us for prayer on our steps inside or if you wish pray in the sanctuary. Covington, Ice Cream Science (4/19): Experience chemistry at its best as you transform simple ingredients into delicious ice cream! Covington, Sound Off Experience Fundraiser for the Leukemia and Lymphoma Society (4/27): Join us as Sound Off Cincinnati, the Leukemia and Lymphoma Society, and Braxton Brewery are teaming up to bring you a one-of-a-kind fitness experience! Edmonton, Kentucky Yoga Festival (4/26 - 4/28): ?Riverside Relaxation. Follow your Bliss. Adventure On. Elizabethtown, Celebrate Derby Season at Allegro (4/26): Allegro is hosting a Kentucky Derby party and open house to celebrate the Derby Season! The afternoon will delight those in attendance as southern charm will be in abundance. Elizabethtown, E-Scrap Recycling (4/20): Electronic Recycling Event!!! Elizabethtown, Toy Story Movie Fundraiser (4/20): We are hosting a special charity screening of the original Toy Story film! ?? Join us at Crowne Pointe Theatre on April 20 at 6:00 p.m. for this special screening. Erlanger, Community Egg Hunt (4/20): On Saturday, April 20th from 12:00 pm to 2:00 pm we will host a free community-wide egg hunt for the whole family to enjoy! Flatwoods, Relay for Life of Boyd-Greenup County (5/10): Relay is a team fundraising event where team members take turns walking around a track or designated path. 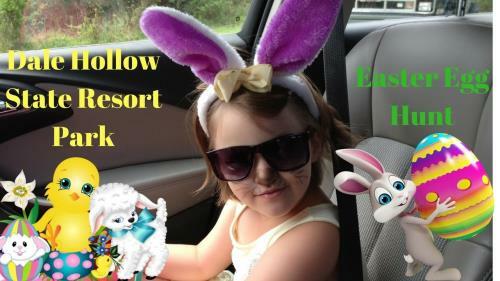 Florence, Easter Egg Hunt (4/19): Mark you Calendar - Trails of Saddlebrook Easter Egg Hunt - Friday April 19th 5:30!!! Florence, Easter Egg Hunt Sponsored by the Mike Parker Team (4/20): Join us for our 2nd annual Community Easter Egg Hunt! Florence, NKBMA Jam Night at Willis (4/26): Main stage open Mic fun, back room jamming, bring your acoustic instrument or just come out to listen to locals performing bluegrass/americana music. Florence, Walk to Defeat ALS - Northern Kentucky Walk (5/4): Your participation in the Walk to Defeat ALS has a direct impact on people living with ALS and their families at the local level. Frankfort, Capital Plaza Easter Buffet (4/21): Prime Rib Dinner Buffet with 5 entree’s, breakfast items, sides & delicious desserts. There is something for everyone. Frankfort, Easter Celebration (4/20): It has been a couple of years since we have done anything with Easter!! Well that all changes now! Frankfort, Evergreen Easter Egg Hunt (4/20): Join us for our annual community Easter Egg Hunt! There will also be crafts, a bounce house, and a petting zoo! All are welcome and we would love to see you there! Frankfort, Glow in the Dark Easter Egg Hunt (4/19): Join us at North Benson for a glow in the dark Easter Egg Hunt! Hunt is open to ages 12 and under. All ages welcome to come for refreshments and fellowship. Frankfort, Wanda Joyce Robinson Foundation Inaugural GALA (5/10): A fun evening of dinner, dancing, and auctions raising funds to support youth impacted by incarceration! Georgetown, A Walk to Remember: Hosted by Maggies Light LLC (5/5): This is a free community event hosted by Maggie's Light LLC. A special community event open to all parents that have lost a child. Georgetown, Easter Egg Hunt (4/21): We'd love to have you and your children come out for our Easter Egg Hunt, which is being held after our 2nd service (Hunt will start around 12:30 timeframe). Georgetown, Ed Davis Easter Egg Hunt (4/20): Join us at the Ed Davis Learning Center starting at 3:00pm to visit with some sweet pooches and kitties hunting for their forever home. Georgetown, Georgetown Kite & Culture Festival (4/27 - 4/28): The Kite Festival will be on April 27 & 28, 2019, noon to 5 PM each day, at the Cardome. Georgetown, Spring FISH FRY (4/20): Come join us for our annual spring fish fry! Glasgow, Farmhouse Finds Barn Sale 2019 Spring Show (4/26 - 4/27): Shopping both days! Greenup, Greenbo Lake Easter Egg Hunt (4/20): Hop on down to Greenbo Lake’s Amphitheater for an Easter Egg Hunt. The Easter Bunny will hide 2000 eggs and will be there to greet you. 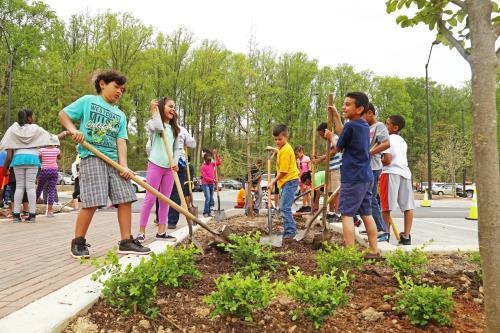 Hardin, Kenlake’s Earth Day Clean-Up ‘19 (4/27): "Kenlake’s Earth Day Clean-Up ‘19 Join us on Saturday April 27th for our second annual Earth Day Clean-Up. This year we will be focusing on our trails and campground. " Harrodsburg, The Marvelous Wonderettes (4/26 - 5/5): A long-running Off-Broadway hit, this "jukebox musical" features plenty of sly, goofy comedy, audience participation and 30 classic songs from the girl groups of the 59's and 60's. Henderson, Another Day In Heaven (4/27): Henderson's resident playwright Bob Park has written a sequel to his 2017 play "One Day In Heaven," which once again reveals how angels in heaven are at working helping the people they love on earth. Henderson, Me So Hangry at HendoBrewco (4/27): Delicious grilled burgers, chicken, and hot dogs. Henderson, Night Easter Egg Hunt (4/19): Join us for a Night Easter Egg Hunt! Hopkinsville, Pints for Paws (4/27): Hopkinsville Brewing Company will be hosting Max's Hope Pet Rescue for a social gathering to kick off some hopefully wonderful weather! Hopkinsville, St. Luke Color Run 2019 (4/27): St. Luke Free Clinic proudly presents the 2019 St. Luke Color Run! The Color Run is a 2.4 mile untimed event that you can experience with friends and family on the Hopkinsville Greenway System. Hyden, Relay for Life of Leslie County (5/10): Relay is a team fundraising event where team members take turns walking around a track or designated path. Irvine, 28th annual Mountain Mushroom Festival (4/27 - 4/28): Mountain mushrooms are the regional name for the delicate morel mushroom which can be found in the densely forested mountains of eastern Kentucky in early spring. Jamestown, Lake Cumberland State Resort Parks Easter Egg Hunt (4/20): Join us Saturday, April 20th at 11 a.m. for our annual Easter Egg Hunt! The Easter Bunny will be joining us for all the fun! La Grange, Junior Ranger Day (4/27): In an effort to celebrate April 20-28 as National Park Week, a Members-Only Junior Ranger Day will be held from 11 a.m. – 2 p.m. on Saturday, April 27 at the Oldham County History Center in La Grange. Lexington, 2019 The BEST Annual Spring Cookout (4/26): Please join us for our Annual Spring Cookout as we Celebrate our 31st Anniversary! There will be Drawings, Hats, Ts and other Gifts. This event will be HUGE! Don't miss it!! Lexington, 2nd Annual DIF Showcase Round 1 (4/20): A sanctioned KHSAA event that showcases Kentucky high school baseball talent to College and Professional scouts. Lexington, 3rd Annual Crawfish Festival! (4/27): Live music all day featuring Trippin Roots, Darkmoon Hollow, & Tyler Halsey’s band Stealin Thunder! Lexington, Abby the Spoon Lady (4/28): Abby the Spoon Lady is one of very few professional spoon players in the United States, and has been a professional street performer for over a decade. Lexington, Alfalfas Artist Happy Hour (4/26): This is a free event to meet and greet with local artists to view & discuss their artwork. Lexington, Annual Easter Celebration (4/20): Join us for our biggest and best Easter Celebration yet! Lexington, BOE Keeneland - Cocktails & Nibbly Bits (4/26): Join the Lexington & London Bank of England Mortgage teams for a fun day at the track! Delicious food, drinks, prizes and more! Lexington, Cassadee Pope (4/20): Cassadee Pope's powerhouse voice, inimitable presence, and endless charm transformed her into a force of nature beloved by millions worldwide. Lexington, Chris Rodrigues (4/28): Chris Rodrigues is a singer, songwriter, multi-instrumentalist and busker from Asheville North Carolina. Lexington, Community Easter Celebration (4/20): Our resurrection service and holiday meal are open to anyone in need this Easter! Lexington, Dance Party with Krosis & Owls to Athens @Lynaghs Pub (4/27): It's time for a Saturday Night DANCE PARTY!!! Bring your friends and enjoy two local Lexington artists that will make you move. One DJ. One full band. Lexington, DiverCity Festival 2019 (4/27): DIVERCITY is a festival that educates, embraces, and celebrates the multitude of cultures that enrich the city of Lexington. Lexington, DIY Zine Workshop with KFTC (4/28): In this workshop, we'll teach you how to make various types of self-publications, and how to distribute them. Lexington, DJ Rice at Lexington Diner (4/27): Join us Saturday, April 27th, 6:30pm-9:30pm for the music of DJ Rice!!! Great food, tunes & neighbors sounds like the makings of a great Saturday night. Lexington, Easter at Tates Creek (4/21): Join us for Easter services. Traditional worship @ 9:30am. Contemporary worship @ 11am. Kids programming during both hours. Lexington, Easter Celebration Breakfast (4/21): Come hungry for food and for worship! Lexington, Easter Egg Hunt at NoBaked Cookie Dough Lexington (4/20): Win free cookie dough, gift cards, and more at our Easter Egg Hunt - fun for the whole family! 2pm on April 20th. Lexington, Easter Eggstravaganza (4/20): The EGGstravaganza is a party for children and the young-at-heart. The Easter EGGstravaganza includes an inflatable park, food trucks to purchase food, and 10,000 eggs to hunt. Lexington, Easter Egg-stravaganza (4/20): We are so excited for our upcoming Easter Egg-stravaganza! We will have the Easter Bunny, snacks, raffles, a petting zoo, face painting, and more! Join us and tell your friends! Lexington, Exploring the Digital World (4/26): This presentation will highlight various mobile apps and websites that are appropriate to use to enhance client mental health or help boost office productivity. Lexington, Girls on the Run (4/20): Girls on the Run inspires girls to recognize their inner strength and celebrate what makes them one of a kind. Lexington, Good Friday Service (4/19): Join us on Good Friday at 7:00pm as we gather to focus on the greatest sacrifice ever made. Lexington, Inclusion Palooza (4/27): #InclusionPalooza was first hosted in 2018, in an effort to bring people together and celebrate our differences and similarities through the power of music and advocacy. Lexington, Joe Holt (4/19): Joe Holt is a folk singer/songwriter who graduated from Berklee College of Music in 2015. Lexington, Kiwanis Kasino Night (4/26): Kiwanis Club of Lexington's largest annual fundraiser, to support children's causes across the Bluegrass and beyond. Please join us for our 3rd annual Kiwanis Kasino Night. Lexington, Land Rover Kentucky 3-Day Event (4/28): "Best Weekend All Year!" The Land Rover Kentucky 3-Day Event is the only 5-star Eventing competition in North America! Lexington, Legacy Ball 2019 (5/3): Legacy Ball 2019 guests will enjoy the finest food, cocktail hour live music, simulated horse race betting featured on the Kroger Field score boards…and of course, Bourbon! Lexington, Lera Lynn (5/5): On her fourth album, Plays Well With Others, she teams up with eight different duet partners and seven co-writers, resulting in her most diverse, collaborative work to date. Lexington, Lexington Arts and Crafts Fair (4/27): The fair will include over 80 crafters and home-based business, as well as concessions offering breakfast, lunch, and snacks. Lexington, Luna and the Mountain Jets (5/5): Luna and the Mountain Jets is an Appalachian rock band from Eastern Kentucky. Lexington, Marriage Ministry Cook-Out, Rectory Tour, & Kickball Game (4/26): Join us for Marriage Ministry Supper Club on Fri. April 26th, from 6-9 PM for grilled burgers and hotdogs at the rectory! Lexington, NorthSide Festival (4/27): On April 27, 2019 the Lexington Art League will host a new community Arts Festival named the NorthSide Festival in honor of LaVon Williams. Lexington, Providence ROCKS 2019 (4/20): Providence ROCKS (Roots of Community, Knowledge and Service) is our fantastic annual Spring fundraiser! Lexington, Ralph Steadman: A Retrospective (2/16 - 5/5): The UK Art Museum is one of the few American venues for this touring exhibition, originally curated by Anita O'Brien at the Cartoon Museum, London. Lexington, Ralph Steadman: A Retrospective (2/16 - 5/5): Ralph Steadman: A Retrospective, University of Kentucky Art Museum on February 16th to May 5th! Lexington, Reagan Day Dinner (4/27): Please join ius for the 2019 Reagan Day Dinner! The keynote speaker is Thomas Hicks, Co-Chair of the Republican National Committee. Lexington, ROCK Super Heroes Season Opener Double Header (4/27): Join us Saturday, April 27 for our super charged season opener double header! Lexington, SCFA Signature Series: AMADEUS LIVE with the UK Symphony Orchestra & UK Chorale (4/26 - 4/27): In celebration of the 100th Anniversary of the UK School of Music, the Singletary Center for the Arts presents AMADEUS LIVE with the UK Symphony Orchestra and UK Chorale. Lexington, Super Saturday (4/20): This year Lafayette's Easter Egg hunt will be on Saturday during this event. Come early for fun and fellowship! We will be providing lunch and learning about the true meaning of Easter. Lexington, Tell Me What You Want 90s Prom (4/20): Will you go to the prom with us? 90s Beer Prom, that is. Grunge, and boy bands, and britpop, and hip hop, and girl power oh my! Come dressed for the occasion. Lexington, Walk to Cure Arthritis Lexington (4/27): Walk to Cure Arthritis is the Arthritis Foundation’s nationwide signature event that unites communities across the country to put an end to arthritis. Lexington, Willie Watson (5/5): For nearly two decades, Willie Watson has made modern folk music rooted in older traditions. Liberty, Relay for Life of Casey County (5/10): Relay is a team fundraising event where team members take turns walking around a track or designated path. Louisville, 2019 Awards in the Arts (4/27): Hosted by Fund for the Arts and Churchill Downs, we invite you to join us for the fourth annual Awards in the Arts on Saturday, April 27, 2019! Louisville, 2019 Ken-Ducky Derby (4/27): JOIN US AT WATERFRONT PARK- APRIL 27 FROM 4PM-8PM FOR THE 16th ANNUAL KEN-DUCKY DERBY! Louisville, 24th Annual Gardeners’ Fair & Silent Auction (5/10 - 5/12): Get back to Locust Grove’s roots at the Gardeners’ Fair! Over 40 vendors and demonstrators will showcase gorgeous plants and flowers, and garden art and tools for your own green spaces! Louisville, 2nd Annual Cocktail Challenge at Rabbit Hole Distillery (4/28): Slow Food Bluegrass will host it’s 2nd Annual Cocktail Challenge on April 28 in partnership with Rabbit Hole Distillery! Louisville, 33rd Annual Kentucky Derby Museum Gala (4/26): Enjoy a seated dinner, live music and dancing at the Derby Museum. Louisville, 48th Annual Cherokee Triangle Art Fair (4/27 - 4/28): It's your friendly neighborhood art fair. Louisville, Americana Art Exhibit x Speed Museum (5/10): You are invited to our Annual Americana Art Exhibit at Speed Art Museum Reception. Americana Community Center takes pride and afforded the opportunity to provide holistic programs and services. Louisville, Annual Easter Egg Hunt (4/20): Saturday, April 20 at 1:30. Children will be separated into 3 age groups (0-3, 4-6, 7-9). There just might be a surprise visit from the Easter Bunny! Louisville, April Kirtan with Emily Smith & Friends (4/27): This gathering is open to the community and will be offered at the Yoga East Highlands Studio on E Ky St.
Louisville, April Save a Life Tour (4/19): Interested in learning more about what we do? Join us for a tour of our headquarters and a complimentary lunch provided by The Cafe. Bring a friend! Louisville, Blaze Bayley (5/5): BLAZE BAYLEY is a singer/songwriter born 29th May 1963 in Birmingham, England. Louisville, Bourbon Straights at Derby City Gaming! (4/27): You can FINALLY get lucky in Kentucky with Derby City Gaming. Bet on Bourbon Straights on Saturday, April 27th! Louisville, Bridge 19 (4/27): “Bridge 19 is a touring band based out of Louisville, KY.
Louisville, Bring Your Kid to WorkOUT Day at The Parklands (4/27): We’re putting a FIT4MOM spin on the traditional “Bring Your Kid to Work” Day! Louisville, Brush, Bottle and Barrel of the Bluegrass (4/26): Join us for Legal Aid Society's Sixteenth Annual Brush, Bottle and Barrel of the Bluegrass. A fabulous evening of fine food, great Kentucky spirits, and wonderful art from local artists. Louisville, Cedar Ridge Summer Camper Pizza Party (4/19): Cedar Ridge Camp is inviting our Summer Campers out for a Pizza party and a Movie for Good Friday! Louisville, Dance Out Loud (4/28): The 3rd annual Dance Out Loud will feature all ages, pre-school to professional performing African, ballet, contemporary, hip hop, tap and lyrical choreography. Louisville, Dazed & Confused (4/20): Featuring our Nashville Hot Ckicken. Live Music starts at 5pm and last all night!! Free cover when you wear your Tie Die T-Shirt. Louisville, Derby on the Diamond (4/27): Come hear the Thoroughbreds as we perform the National Anthem for the Derby on the Diamond night at Louisville Slugger Field! Louisville, Dinner Out with Volunteers of America (4/28): Join us on Sunday, April 28th to support Volunteers of America! Louisville, Dodgeball (4/20): Come have fun as we review the 5 D's of dodgeball: Dodge! Duck! Dip! Dive! and Dodge! Louisville, Full Metal Jacket (4/26): Hey Louisville, We will be making another debut... We will be making our debut at TK’s on April 26th from 9:30 pm till 2:00 am... TK’s has a great atmosphere and drink specials all night long!! Louisville, Gardenaganza! (4/28): It’s that special day of Spring once again – the rare chance to shop locally for hard-to-find native and heirloom plants and rain barrels, talk to the gardening experts, and enjoy much more. Louisville, Good Friday Fish Fry, Service & Lord’s Supper (4/19): Come gather with us to celebrate the sacrifice of our Savior Jesus Christ for the remission of our sins! Louisville, Good Friday Service (4/19): Join us for a Good Friday service of Scripture, song, and prayer. Louisville, Gucci Mane (5/4): Despite the pitfalls, Gucci Mane takes each moment in stride, both playfully and insightful. Louisville, JacknLindsey @ Derby City Pizza Louisville (4/20): JacknLindsey are an acoustic duo located in Louisville, KY covering decades (70’s-Today) of music from your favorite artists & bands. Louisville, Kentucky Derby Festival miniMarathon and Marathon (4/27): For the 4th consecutive year the Parkinson Support Center has been selected as a KDF Marathon Charity Partner! Louisville, Kentucky Shakespeares Macbeth comes to Sun Valley Park (4/28): All are welcome to this family friendly performance, which is sponsored by Councilwoman Cindi Fowler, District 14. Louisville, Louisville Bicycle Day (4/19): In honor of the late, great Dr. Albert Hoffman. Louisville, Low Cost Rabies Vaccination Clinic (4/20): LMAS will host a low cost Rabies Clinic at Wyandotte Park on Saturday, April 20th from 9am-12pm. Louisville, Macbeth with Kentucky Shakespeare (4/19): Kentucky Shakespeare is bringing a new production of Macbeth to Locust Grove! Louisville, Making Time: The Art of the Kentucky Tall Case Clock, 1790-1850 (2/2 - 6/16): Making Time, the first exhibition devoted to Kentucky tall clocks, will bring together more than twenty outstanding examples of these towering creations. Louisville, Making Time: The Art of the Kentucky Tall Case Clock, 1790–1850 (2/2 - 6/16): Today, we can’t escape time; our phones, tablets, smart watches, and social media feeds remind us constantly. It wasn’t always so. Louisville, Mayors Give A Day at Heuser (4/19): Participate in the Give A Day - Mayor's Week of Service at Heuser Hearing & Language Academy! Louisville, MSM Common Ground (4/26): Hey Moms! We know that the Middle Schools years can be challenging for our girls in so many ways. It's a time in which they're navigating that strange and wonderful gap between "kid" and "teenager". Louisville, Neighmaste on the Waterfront (4/26): Celebrate the Kentucky Derby Festival® by practicing an all-level vinyasa flow in Waterfront Park in beautiful downtown Louisville! Louisville, Not Your Parents Derby Party (4/19): On Friday April 19th, 2019, Derby City Party People will host its signature fundraiser, Not Your Parent's Derby Party benefiting Family Scholar House. Louisville, OINK kink Dance Party (4/19): OINK kink Dance Party on Friday, April 19, 2019 at 11:30 PM. Louisville, Pet Pictures with the Easter Bunny (4/20): Saturday April 20 is the Frankfort Avenue Easter Parade! And to help celebrate, the Easter Bunny will be here taking pictures with your pets! Louisville, Pokemon Unbroken Bonds Midnight Pre-Release (4/19): Come join us Friday night a little before midnight as we give out the kits for some sweet pre-release play promptly at midnight! Louisville, Psychic Sunday (4/28): Sacred Journeys is a 501c3 non-profit Corporation. Your fees and donations are tax deductible. Louisville, Run for Kosair Charities (4/27): Running the Kentucky Derby Festival MiniMarathon/Marathon? You can run for a cause! Join Kosair Charities president, Keith Inman, and Kosair Kid® Henry as they walk the miniMarathon. Louisville, ShockMe Adventures Heckling Historian (4/20): Get ready to flex your funny bone! Louisville, Silks Bash After-Party 2019 (5/3): Come and celebrate the perfect Kentucky experience on the night before the “fastest two minutes in sports”, The Kentucky Derby! Louisville, Small Batch Brass at Butchertown Social (4/19): Come out and hear Louisville's original Brass Group at Butchertown Social. Louisville, Spring Encampment (4/27 - 4/28): Step into the year 1778 with this Revolutionary War Encampment as George Rogers Clark and his Illinois Regiment of Virginia begin their western campaign. Louisville, Spring Fling Sale (4/27 - 4/28): Join us Saturday, April 27th and Sunday, April 28th for our annual Spring Sale! Food + Fun + Giveaways + Raffles + AMAZING Deals + MORE! Louisville, Spring Workshop Series - Bottom Bracket, Headset, and Handlebar (4/20): On April 20th, Nathan Pinney, will lead a hands-on class for learning about Bottom bracket, Headset, & Handlebars. Learn how/why they work, how to inspect, and to repair/replace. Louisville, The Hitching Post Inn presents The Gypsy Stone Kings (4/27): We're back again, by popular demand! Great food, drinks and music will be here, hoping you will be too! Louisville, The Rocky Horror Show - Spring 2019 (4/20): Admission is $10 at the door, and all proceeds benefit Acting Against Cancer and its commitment to using the arts to help children touched by cancer. Louisville, TheSlice@KCAAH (4/27): West Muhammad Ali Blvd. will again come alive on the evening of Saturday, April 27, 2019, when the Kentucky Derby Festival Slice@KCAAH: Spice, Style & Soul gets under way at 7:00PM. Louisville, Turners Circus Presents: Sins (4/20): Come see Turners Circus examine the 7 Deadly sins in their annual adult showcase. Louisville, TYR Derby Pro Swim Meet (4/26): The University of Louisville swim and dive program's annual TYR Derby Pro Swim Meet will be a competitive meet to raise money for charity. Louisville, Uli Jon Roth (5/4): Uli discovered his love for the electric guitar in 1968 and played his first concert later that same year at the age of 13 as lead guitarist for the band Blue Infinity. Louisville, Watkins Eggstravaganza (4/20): Join us for our Easter Eggstravaganza (Easter Egg Hunt) on April 20th at Watkins UMC! Louisville, Yinka Shonibare MBE: The American Library (3/29 - 9/15): The American Library by Yinka Shonibare MBE is a celebration of the diversity of the American population and acts as an instigator of discovery and debate. Madisonville, Sing! Sing! Sing! with the MCC Singers (4/26): Join the Madisonville Community College Singers as they present their annual spring concert. Morehead, Kentucky Proud Expo (4/26 - 4/27): Come to the show that all vendors are Kentucky Proud members! You will find unique gifts, handmade items, food and so much more. Murray, Relay for Life of Calloway County (4/27): Relay is a team fundraising event where team members take turns walking around a track or designated path. Owensboro, 1 Year Celebration (4/27): Come celebrate our 1 year anniversary at Free Your Mind, Body and Soul Wellness LLC with a block party at Audubon Plaza. Owensboro, OPAs Pickleball Cookout (4/27): Come one come all to have a fun day of food and play! This is a social event that will be free for OPA members and just $10 for non-members! Owensboro, SparKys 7th Annual Easter Bone Hunt (4/20): We are excited to announce our 7th annual Easter Bone Hunt!!! We are talking major tail wags over here! This is by far our most popular event with well over 100 furry babies in attendance. Paducah, Relay for Life of McCracken County (5/3): Relay is a team fundraising event where team members take turns walking around a track or designated path. Paducah, Troutts Easter Eggstravaganza (4/20): Stop by the store for our Annual Easter Eggstravaganza!! We will be having an Easter Egg giveaway promotion! When you are ready to check out just grab an egg, open it up and see what your gift is!! Richmond, An Afternoon with President Abraham Lincoln (4/28): Join us for an unique, first person portrayal of President Abraham Lincoln by one of the nation's premier Lincoln presenters Larry Elliott. Richmond, Chenault Vineyards Before Prom Photos and Dinner (4/20): Join us at Chenault VIneyards April 20, 2019 for before Prom Dinner and Photos. Bring your family and friends for beautiful scenic professional photos from 5:00-6:30pm. Richmond, Good Friday Night of Worship (4/19): Join us on Friday, April 19th, at 7 PM as we gather together to draw near to God and praise His name on Good Friday! We will also be observing the Lord's Supper that night. Scottsville, Jacksonian Days Street Fair (4/27): Join us at the annual Jacksonian Days festival on Scottsville square! Scottsville, Relay for Life of Allen County (5/10): Relay is a team fundraising event where team members take turns walking around a track or designated path. Union, Big Bone Creek Clean Up (4/27): Staff and volunteers will be picking up litter in and around the stream, along the creek banks, and in the flood zones surrounding Big Bone Creek from 10 a.m. to 2 p.m.
Wilmore, Highbridge Film Festival (4/27): The Highbridge Film Festival exists to inspire, promote and support creative storytelling for young people around the world. Wilmore, Wilmores Coaster Car Derby (4/27): What makes Wilmore such a “special place” — a place where “history and small town charm are an integral part of everyday life”? Winchester, Steel Magnolias (4/27 - 5/5): Truvy’s beauty salon in Chinquapin, Louisiana is where all the ladies who are “anybody” come to have their hair done. Worthville, Annual Charles Satterwhite Memorial Golf Shamble Fairway Golf Course (4/20): Annual Charles Satterwhite Memorial Golf Shamble will be held on April 20, 2019. there will be fun activities to look forward for!